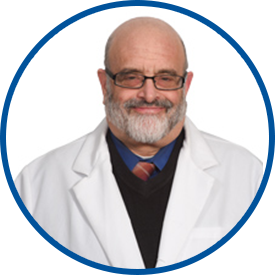 Dr. Den is board certified in allergy and immunology and internal medicine. He was awarded his medical degree from the New York University School of Medicine, followed by his internship and residency at St. Luke’s-Roosevelt Hospital Center, New York, NY. He then completed a fellowship in allergy, clinical immunology, infectious diseases and epidemiology at St. Luke’s-Roosevelt Hospital Center. Previously, he was president of Norwalk Medical Group and has also been in private practice with the Group. He is assistant chair of the Department of Medicine at Norwalk Hospital and co-chair of pharmacy and therapeutics. He is also an assistant clinical professor of medicine at Quinnipiac University, Frank H. Netter MD School of Medicine. Dr. Den is a Fellow, American College of Allergy, Asthma and Immunology as well as a Fellow, American College of Chest Physicians. He is a member of the Alpha Omega Alpha Honor Medical Society. He has been on the “American Top Physicians’ list of the Consumers’ Research Council of America from 2004-2014. He is fluent in German and Yiddish as well as English. Every MD should have the compassion for patients like he has. Dr. Den is one of the very best doctors I have ever used. He has been my Primary Care physician for about 30 years and I would always ask for his advice and council before doing anything else concerning my health. Dr. Den is an excellent diagnostician. He is attentive and thorough. I have recommended him many times to friends and relatives. incredible doctor. shows compassion and understanding. Beenb a patient of Dr. Den for many years, a very caring care provider. *Dr. Den is a fantastic doctor, he is knowledgeable, thorough, caring & respectful. I love him. *Dr. Den was the first doctor to explain to me what my problem was and go through all of my questions and options for helping cure my problem. I have recommended *Dr. Den to others many times. My entire family sees Dr. Den including extended family, so I would recommend him any day. *Dr. Den is very very good and very pleasant to work with. Dr. Marvin Den has been my personal physician for over 30 years and I trust him completely.